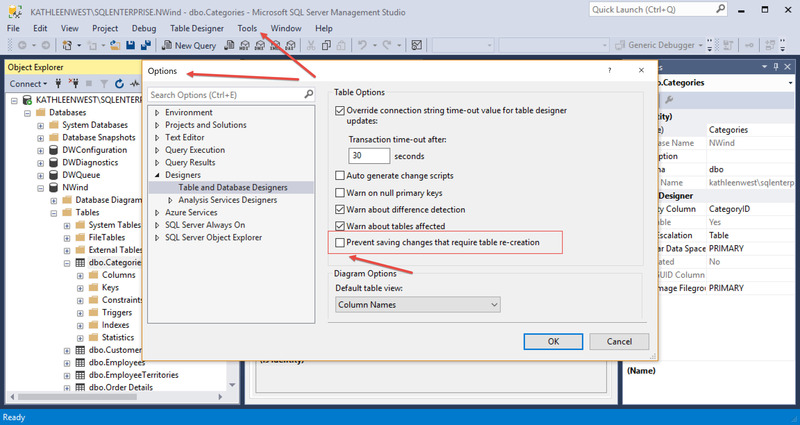 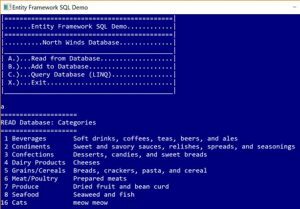 A simple windows console application that uses ADO.NET Entity Framework libraries and patterns to connect to a database, read records, write new records, and perform a LINQ query on a selected table in the database. 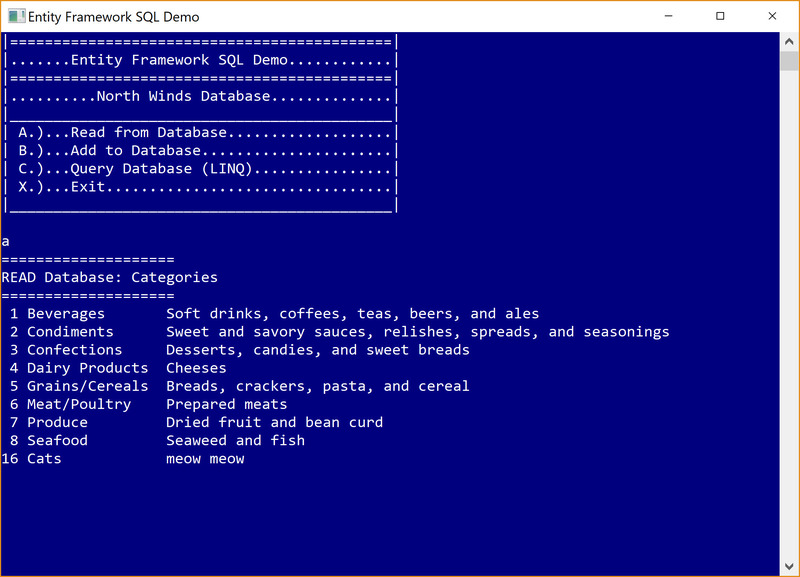 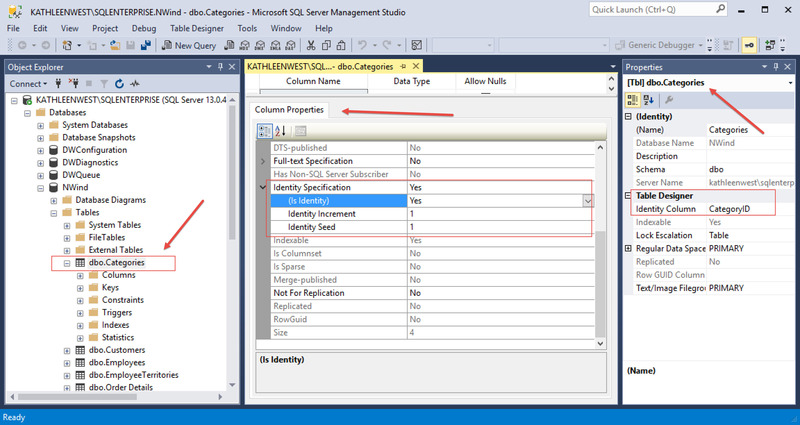 Comments: You need to install the Northwind database to an SQL Server instance on your computer or server, then modify the application’s connection string to connect to your unique server SQL database instance. Also, you need to edit the NWind database Identity configuration and Tool Options to edit the database (see photos below with configuration settings). 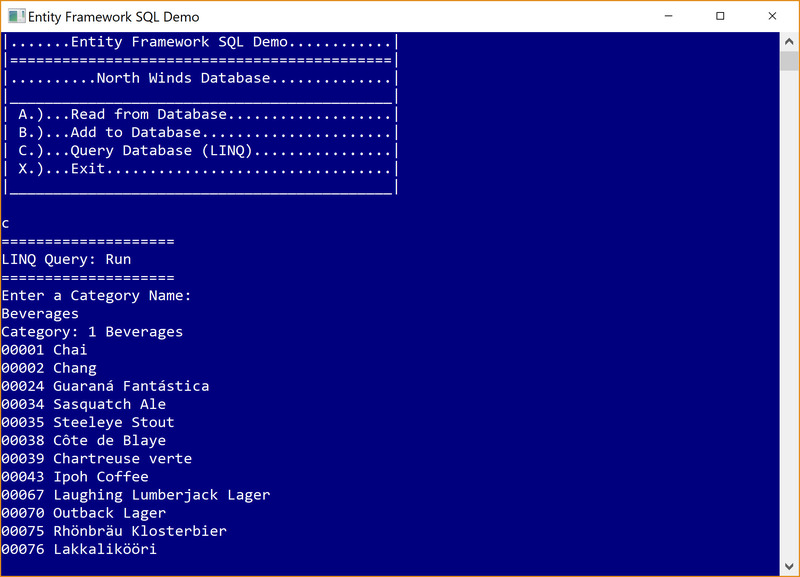 Download and access the code on GitHub here.